Least you have been living in a cave the last few months, the dates have now changed to those originally announced. In Beethoven’s cheerful Pastoral symphony, a storm brings refreshment to the idyllic countryside. 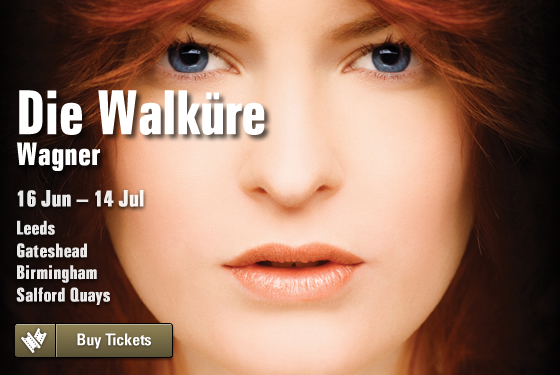 In the First Act of Richard Wagner’s opera Die Walküre, a storm provides the backdrop for a furious, forbidden passion. The contrast brings a fascinating richness to this remarkable concert event, celebrating masterpieces by two towering geniuses of the German musical heritage. The soloists include the young American soprano Meagan Miller. 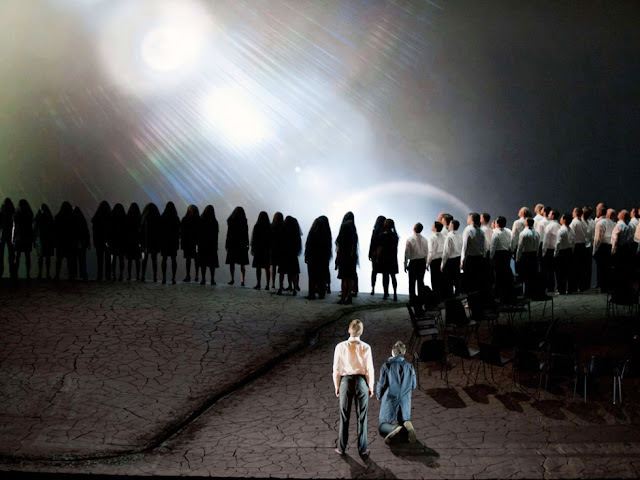 Continuing their what is, if last years excellent Rheingold is anything to go by, more of a semi-staged then the advertised concert performance , Opera North will premier their Walkure this year. You wouldn't believe how much I am looking forward to this one. Details below. The City of Birmingham Symphony Orchestra has just completed its longest European tour in 14 years and, whilst the standing ovations and rave reviews continued throughout, there was an unexpected change towards the end. 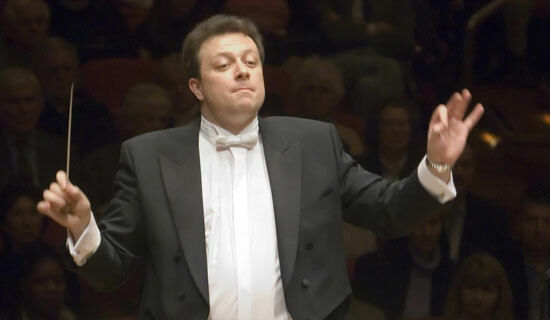 The final three concerts were conducted by Associate Conductor, Michael Seal, who took over at very short notice from Andris Nelsons, the CBSO’s internationally respected Music Director. The 13 date tour took in some of the most prestigious venues in Europe and featured two of the world’s most celebrated performers – tenor Jonas Kaufmann and pianist Rudolf Buchbinder. It was due to be conducted in full by Andris, but after ten performances, he was forced to withdraw when his baby daughter was rushed to hospital. With just one hour to go before the Orchestra stepped on stage in Dortmund, Mike stepped in. “This was such a last minute decision but we had a show to do. We’d performed the concerts a number of times before on the tour but obviously I’d played as a musician. Standing in front of capacity crowds guiding the Orchestra through the works required a very different mindset but it was a challenge I was more than willing to take on”, said Mike. Mike continued at the helm in Heidelberg (for a concert broadcast on German radio) and Baden-Baden, and drew a great response from audiences and critics as well as the two star soloists. 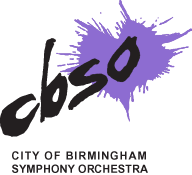 Stephen Maddock CBSO Chief Executive said: “As Associate Conductor, Mike regularly conducts the CBSO in a wide range of concerts in Birmingham. However, in his other capacity as a violinist with the Orchestra, he had already performed 13 concerts in March and it was a tremendous achievement to take on these concerts at such short notice. It is testament to the nature of the CBSO and to Mike’s fantastic professionalism and skill in these difficult circumstances. The Orchestra continued to play to their world-class standard and ensure that CBSO is both respected for its talent and also its commitment to great music-making. “Andris is currently in Riga with his family where his daughter is hospital. 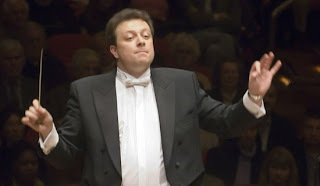 Our thoughts are with him and his family, and we fully respect their privacy during this difficult time.”Mike Seal will also replace Andris for the CBSO’s next two concerts at Bridgewater Hall in Manchester on 29 March and at Symphony Hall on 30 March 2012. Press release below as I received it. It looks very interesting but I only wish that authors would think a little more before giving their books a title (whatever you do, do not read the Amazon reader's reviews of "Penetrating Wagner's Ring" on Amazon UK. But perhaps these things are regional). It is not of course the first time an author has attempted to write an introduction to The Ring of the Nibelung for children although Roz Goldfarb's approach is very different. 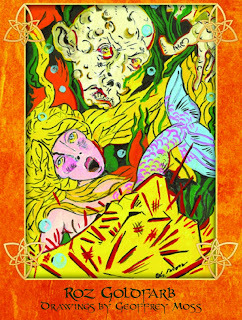 New York, NY (March 27, 2012) - Roz Goldfarb Creative Ventures announced the publication of Benjamin's Ring, The Story of Richard Wagner's 'The Ring of the Nibelung' for Young Readers, © 2012, written by Roz Goldfarb and with drawings by Geoffrey Moss. This unique book about The Ring speaks to today’s child of 8 – 14 and tells the enduring story of Richard Wagner’s four opera cycle, The Ring of the Nibelung as it is seen through Benjamin’s eyes. It is written for today’s young readers who enjoy action and adventure tales. Utilizing many of Wagner’s original stage directions and his libretto, Ben’s mother narrates the story and, importantly, answers Ben’s questions. She also explains why Wagner's music is world famous and how opera can be a total theatrical experience for people of any age. "According to my research nothing like this has ever been published before. It’s my hope that this book will, at last, offer children who love stories of fantasy and mythology the opportunity to experience this classic and also build an interest in opera.” said the author and publisher, Roz Goldfarb. “I found Benjamin’s Ring to be an engaging and charming re-telling of Wagner’s Ring Cycle libretto.” wrote Deborah Voigt, International Operatic Soprano. “Benjamin’s Ring is a wonderful introduction into the world of Wagner’s Ring cycle. It is entertaining and informative. I would recommend it for kids that enjoy fantastical stories, but also for anyone preparing to see the Ring for the first time. The illustrations by Geoffrey Moss are beautiful, and the perfect accompaniment to the story.” commented Michelle DeYoung, 3 Time Grammy Award Winning Classical and Operatic Mezzo-Soprano. Seems there are still tickets available. 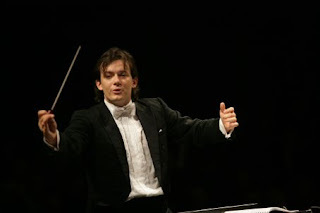 The conductor of one of my most favored Parsifal of modern times. The full Orchestra, Chorus and Soloists from The Mariinsky Opera (formerly known as The Kirov) bring a magnificent concert performance of Wagner's Parsifal to the Centre's stage this Spring. 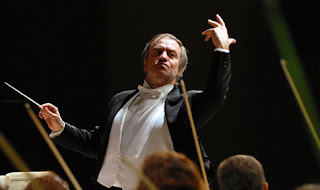 Directed by one of the world's most celebrated living conductors, Valery Gergiev, the story is drawn from Arthurian legend and tales of the Holy Grail. 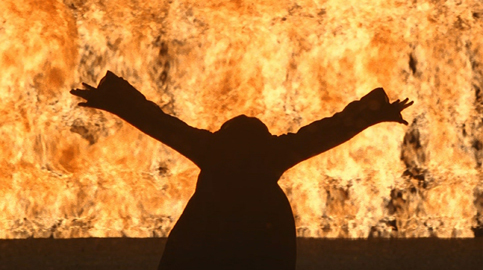 Parsifal conjures up imagery and symbolism from an ancient time of mystery and myth and Gergiev's recording of the score with the Mariinsky was described as dramatic, red-blooded, vivid and luminous, adding a real Russian 'soul' to the beautiful music of Wagner's final opera. To hear them perform it live at the Centre in concert is a genuinely exciting prospect. Guardian to broadcast six operas from Glyndebourne this summer. No Wagner but Mozart & Ravel at least. 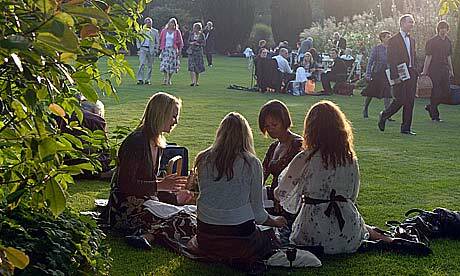 The Guardian is to broadcast six operas from the Glyndebourne festival in Sussex this summer. Following a successful experiment last year, guardian.co.uk will stream Leoš Janáček's The Cunning Little Vixen, Mozart's Le Nozze di Figaroand Ravel's double bill of L'Heure Espagnole and L'Enfant et les Sortilèges live from the festival, held from 20 May until 26 August. Two more operas in the season will be filmed and broadcast on the site:The Fairy Queen by Purcell and Rossini's La Cenerentola. Each operawill be made available to view again and accompanied by additional multimedia commentary from Guardian critics, who will be online to discuss the operas as they are broadcast. Last June, the Guardian became the first news organisation to livestream an entire opera when it broadcast and liveblogged all six hours of Wagner's Die Meistersinger von Nürnberg from Glyndebourne. This year's partnership kicks off a summer music season, more details of which will be confirmed over the coming weeks, and is one of several new collaborations between the Guardian and leading arts organisations. On Friday, guardian.co.uk joined with YouTube to show a day of rehearsals at the Royal Ballet, culminating in a recorded performance ofWayne McGregor's Chroma. In January, the website began streaming live performances by artists including Laurie Anderson and composer Heiner Goebbels from A Room For London, the temporary structure on top of London's Southbank Centre, in partnership with art event producers Artangel. The Guardian is also working with the Young Vic theatre to develop a short film called Epithet starring Patrick Stewart, and next month will broadcast a performance from London's Roundhouse by Swedish circus company Cirkus Cirkör. David Pickard, general director at Glyndebourne, said: "In 2007 Glyndebourne was the first UK opera house to screen its productions into cinemas and in 2011 we were the first UK opera company to stream opera live online with the Guardian. "I am delighted that the 2012 festival will see both these innovations develop to ensure that Glyndebourne's work is open to opera lovers at any time, anywhere in the world." 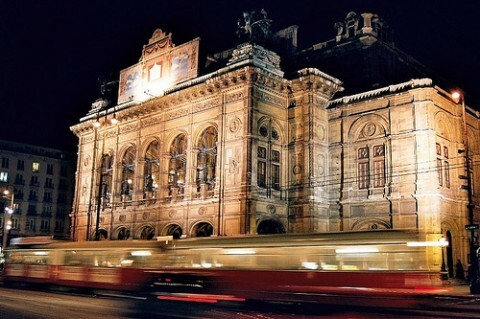 Wagner and Strauss add to Vienna Opera's ever increasing profits. VIENNA — Five opera premieres and three for ballet will pepper next season at Vienna's State Opera, which continues to see its profits and spectators rise since French director Dominique Meyer took over. Despite economic hard times, profits rose again this year to 20.6 million euros, from 19.7 million euros the previous season, while the average attendance increased to 98.84 percent from 98.51 percent, Meyer told a press conference Tuesday to present the programme for next year. "We should count ourselves lucky that we live on a sort of island where culture is still considered important," said the director. Looking ahead, he announced five opera premieres next season, starting with German composer Christoph Willibald Gluck's "Alceste" on November 12, performed for the first time at the Vienna Opera in French. This will be followed by Richard Strauss's "Ariadne on Naxos," Gioachino Rossini's "La Cenerentola," Richard Wagner's "Tristan and Isolde" and for the first time on the big stage, an opera for children by Hans Werner Henze, "Pollicino." In all, the 2012-2013 season will include 236 opera performances, totalling 320 with ballet and operas for children. The list of performers also reads like a who's who of the opera world, from Anna Netrebko, Elina Garanca and Rolando Villazon to Kiri Te Kanawa, Renee Fleming and Placido Domingo. The ballet programme will also offer a few new gems, from Rudolf Nureyev's "The Nutcracker" to a "Dance Perspectives" evening featuring choreographers like David Dawson, Helen Pickett, Jean-Christophe Maillot and Patrick de Bana, culminating with the annual Nureyev Gala that showcases works by the prolific dancer-choreographer never before performed by the Vienna Ballet. THE DEATH OF opera has been not just predicted but declared again and again. And again and again the artform simply refuses to go away. You could argue that opera has become a museum culture: that the Italian tradition, which is at the heart of the repertoire around the world, became moribund after Puccini’s Turandot, a work whose posthumous première took place as long ago as 1926; that most of the operas which large numbers of people still want to see are by composers long dead – although John Adams and Philip Glass, to name but two, would surely argue the point; that modern musical style is inimical to opera as a form, although everyone is likely to be able point to their own favourite exceptions. Of course, even if you grant all the negatives, you’re still left with a vibrant museum culture, and nobody’s shouting to close down museums simply because what they represent is mostly old or spent. Britten’s The Turn of the Screw, which NI Opera chose for its latest tour (ending at the Lyric Theatre in Belfast on Tuesday) is more than half a century old. It was commissioned by the Venice Biennale and premièred at the Teatro La Fenice in September 1954. It offers as good a ghost story as you’ll find in the operatic repertoire. 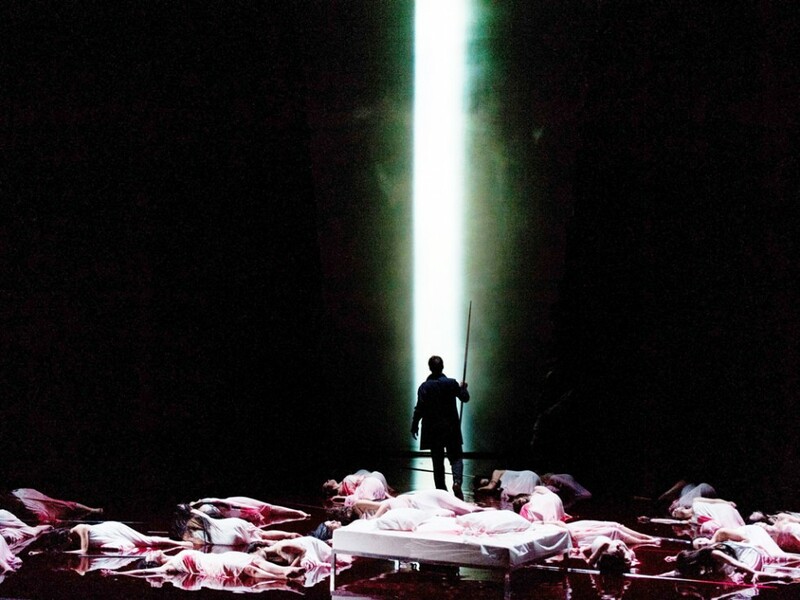 And NI Opera’s production, directed by Oliver Mears and designed by Annemarie Woods, cleverly takes a leaf out of the techniques of Hollywood special-effects departments, and does so successfully within the constraints of a regular theatre. Simply put, the walls move. The set, painted with a dream-like lack of sharp focus, reshapes itself from scene to scene with claustrophobic insistence, as if someone might get crushed in the reorganisation of space. The reshaping never seems quite direct. It’s as if some overseeing power is trying out possible moves before arriving at a satisfactory conclusion. The moving walls have a creepily unsettling unpredictability, just as any good ghost story ought to have. The production’s treasure is Thomas Copeland as the boy Miles, who combines a confidence that is awe-inspiringly chilling with singing that is straight and true. And he’s matched in delivery every bit of the way by Lucia Vernon as his sister Flora. These children have a self-absorption that’s already slightly otherworldly, even before Miles’s fatal encounter with the ghost of Peter Quint. The two ghosts, Quint (Andrew Tortise) and Miss Jessel (Giselle Allen), both show a verbal ease and communicativeness that the Governess (Fiona Murphy) and Mrs Grose (Yvonne Howard), the two live people dealing with the children, somehow lack. It’s a matter of the marrying of words and vocal line and also of Murphy and Howard’s tendency to force their tone rather more than seemed necessary in a venue the size of the Lyric Theatre. To be fair, they weren’t helped by the conducting of Nicholas Chalmers, who seemed to encourage his ensemble of 14 players to emulate orchestral volume rather than explore the extraordinary range of colours that Britten secured from his super-charged chamber ensemble. The Turn of the Screw was written at a time when chamber opera seemed to be the coming thing. Ten or 15 years later, it was music theatre that was creating all the buzz, with György Ligeti’s Aventures and Nouvelles Aventures, Peter Maxwell Davies’s Eight Songs for a Mad King and numerous works by Mauricio Kagel mapping out an exciting new territory for which any description involving the word opera seemed to be inadequate. The cutting edge, however, may since have sliced through the centuries, so that early opera often now brings the kind of excitement that once only the genuinely new could create. Even the Metropolitan Opera in New York, with an auditorium so large it would seem inimical to anything of baroque scale, recently revived the idea of 18th-century pastiche, with Handel, Vivaldi and Rameau among the composers roped in for The Enchanted Isle, with a scenario created by Jeremy Sams providing a platform for the likes of Plácido Domingo, Joyce di Donato and David Daniels. There were no such luminaries for the second of Opera North’s offerings at the Bord Gáis Energy Theatre (Friday 16th), when the company presented Tim Albery’s production of Handel’s Giulio Cesare, with another shape-changing set (by Leslie Travers), which was lit with apparently endless resource by Thomas C Hase. The opera came across as a communication of potently distilled emotion, in which the contributions of Kathryn Rudge’s fervently revengeful Sesto and James Oldfield’s sympathetically solid portrayal of the basically unsympathetic Achilla made the strongest impressions. The Arts Council’s €1 million-plus opera awards look like making a range of varied impressions, too. First out of the blocks will be Leoncavallo’s Pagliacci, opening in Cork on Friday, June 22nd. The production, directed by John O’Brien (who also conducts) and Michael Barker-Caven, is planned as a crossover venture – it will be presented by the Everyman Theatre and Cork Operatic Society in association with Cork Midsummer Festival, Cork Circus, Cork Community Arts Link and Raymond Keane/Barabbas. With upwards of 120 performers involved, both professional and amateur, it is planned that the whole theatre will become the opera, with clowns and other circus acts an integral part of the action, even before the music starts. Wide Open Opera’s production of Wagner’s Tristan und Isolde will run for three nights at the Bord Gáis Energy Theatre (Sunday, September 30th, Wednesday, October 3rd and Friday 6th), and joining Paul McNamara and Miriam Murphy as the doomed lovers will be Imelda Drumm as Brangäne, Manfred Hemm as King Mark, Eamonn Mulhall as the Sailor and Gavan Ring as the Steersman. 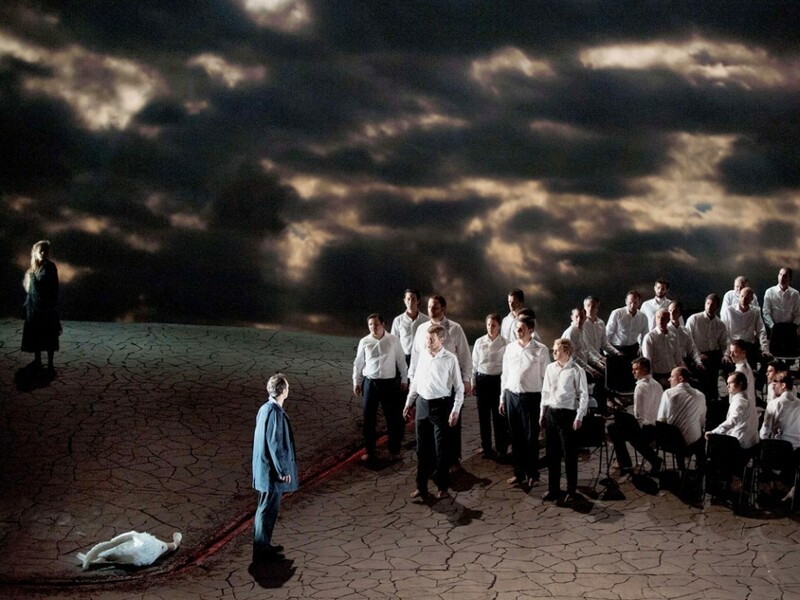 The production, originally directed and designed by Yannis Kokkos for Welsh National Opera, will be revived by Peter Watson, and Fergus Sheil will conduct an orchestra of 85. Starting times haven’t been announced yet, but expect this super-long piece to begin at 6pm or earlier. NI Opera’s Oliver Mears production of Humperdinck’s Hansel and Gretel, which was seen in Belfast’s Grand Opera House last November, is expected at Dublin’s Gaiety Theatre next November on dates yet to be finalised. It is hoped to present it again with the original cast, with Niamh Kelly and Aoife O’Sullivan as the children, Doreen Curran and Paul Carey-Jones as the parents. Last year’s performances were conducted by David Brophy. Lyric Opera’s Vivian Coates production of Verdi’s Aida will be at the Gaiety Theatre on November 14th, 16th and 17th, with a cast headed by Yanick Muriel Noah (Aida), Michael Wade Lee (Radamès), Imelda Drumm (Amneris) and Simon Thorpe (Amonasro). The Lyric Opera Chorus and the RTÉ Concert Orchestra will be conducted by Tecwyn Evans. Los Angeles Philharmonic (LA Phil) announced today that the February 18th LA Phil LIVE performance of Mahler’s 8th Symphony: the “Symphony of a Thousand,” featuring Gustavo Dudamel, the LA Phil and the Simón Bolívar Symphony Orchestra of Venezuela, will be screened in cinemas internationally. 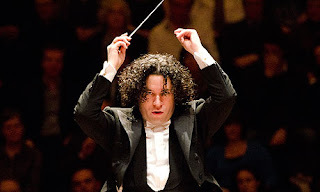 This historic performance was the first international broadcast of LA Phil LIVE and celebrates the climactic final performance of The Mahler Project, which has seen Gustavo Dudamel lead all of Mahler’s nine completed symphonies plus the opening Adagio movement of his unfinished tenth with two world-class orchestras which have been prominent in his life: The LA Philharmonic and the Simón Bolívar Symphony Orchestra in LA and Caracas. Hosted by award-winning actor John Lithgow, the broadcast opens with exclusive interviews with the musicians in Caracas, offering cinema audiences a unique insight on Dudamel, the LA Phil, the music, and the colossal forces participating in this extraordinary performance. The spectacular concert, which took place on February 18th, was broadcast live in the U.S., Canada and South America. A series of delayed live screenings are scheduled for March and April in more than 20 territories including the UK, Germany, Switzerland, Brazil and Hong Kong. Mahler wrote of his 8th Symphony that one must “try to imagine the whole universe beginning to ring and resound.” With the combined forces of the 200 members of both orchestras, eight soloists and the National Youth Choir of Venezuela the broadcast from Caracas was an impressive event and an emotional conclusion to The Mahler Project. Mahler 8 was the first global cinema event for LA Phil LIVE. New York, Carnegie Hall, April 6, 1939. I have a terrible weakness for Haitink's Beethoven. Haitink: Beethoven, Symphonies 1 & 9 on medici.tv. Fascinating! And rather good sound considering. Partly sung in English - read description. Sung in English (1-6, 9 - recorded 1925) and German (7-8 - recorded 1927/8). From the database at charm.rhul.ac.uk; HMV D 1025-1031 and 1651-1652. As these things tend to be, found on youtube. Given its age it is in the public domain. It has been released by any number of labels in various remasters and from various sources. A good remaster can be found at the none profit "Immortal Performances" whose site you might want to check out if your looking for a CD version. Alas, I have no idea the source of the version found on youtube. The Janowski/Penatone Wagner edition continues now with its third release: Parsifal. Although the CD/SACD will not be available till March 19th, if you are impatient like me, you can download it from an on-line retailer near you now. I include an Amazon app below for you to sample but of course this does not mean I in anyway endorse Amazon - or anyone else for that matter. I also include a review from the original performance in 2011. The audiences in Berlin are almost uniquely spoiled – besides two major opera houses (and an adventurous third one), the city counts with a a couple of world-class orchestras. I have to understand that as the reason for the way Marek Janowski and his RSB Orchestra are usually overlooked. 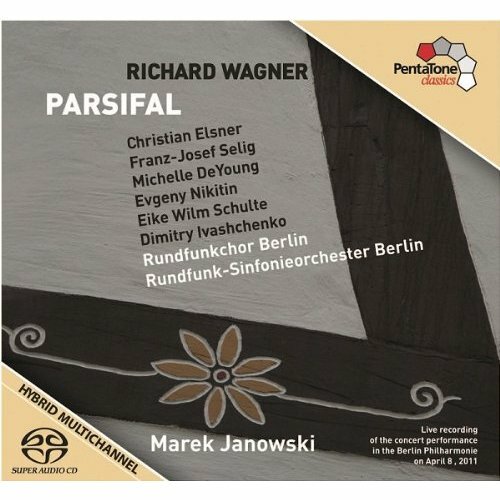 I particularly value Mr. Janowski for his complete recording of Wagner’s Ring with the Staatskapelle Dresden, a paragon of structural clarity if a bit short on drama (and a more natural recorded sound…). When I had the opportunity of asking him years ago what is his objective as a Wagnerian conductor, his answer was: “clarity, clarity, clarity!”. And he is still faithful to his creed, as he proved this evening. Janowski and the RSB have launched a very ambitious project of performing all Wagner’s mature works (in the sense of “from Der fliegende Holländer on”) in concert with international casts. Unfortunately, I have missed the first installment, but couldn’t let the second one pass. And it has been certainly worth the detour. Although the RSB does not have the glamorous sound of the Berlin Philharmonic (it is particularly unvaried in color and maybe short in dynamics), it is an extremely capable Wagnerian orchestra, ready to give its conductor all it can do. And I suspect purely beautiful and big sounds are not what Janowski is looking for anyway. Although they might have been helpful in the Karfreitagszauber passage and other key moments, one would find more than compensation in a performance where one could feel as if reading the score. Really, everything Wagner wrote would come clearly and naturally to you in transparent orchestral sound, perfectly balanced and intelligently set together and consequent tempi that made phrasing sharp as blue-ray image. That said, life is never so simple – although I had the second act of my dreams this evening, the outer acts, clear and musical as they were, seem to cry for… overwhelmingly rich orchestral sound, even at the expense of some transparency. Especially in a concert performance. But then these acts depend very much on the casting for Gurnemanz. That Franz-Josef Selig’s voice is outstandingly beautiful is no matter of dispute. Its voluminous velvetiness and the ductility that allows it touching soft tones made his Sarastro famous. One can feel a “but” coming and here it comes – since some time, his high register has been sounding tense and discolored unless he sings it piano. As it is, his fondness for low dynamics and his elegant phrasing makes his Gurnemanz convincingly benign and sensitive, but recently he sounds too often uncomfortable when required to sing full out in his high register. As a result, many Wagnerian climaxes hang fire – particularly in the Philharmonie, which is not the user-friendliest place for singers. "Apocalyptic Visions: Götterdämmerung and Science Fiction Movies"
HE'S sung before audiences of thousands of people and earned critical acclaim for his performances. 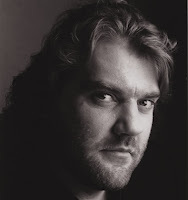 But yesterday Bryn Terfel said he felt “humbled” by the award of an honorary doctorate in music from Bangor University. His wife Lesley and parents, Hefin and Nesta, were in the historic college building for the short ceremony. Later Bryn took the opportunity to reveal details of a special concert to be held at the University's Prichard Jones Hall in May. Bryn said: "It's an incredible honour and it means more to me than people realise. “I feel humble at being handed this honour for singing which is something I truly love to do. "And I'm especially pleased my family were here to see the ceremony. It is at times like this you appreciate the network of support behind me"
It is only the second time in the University's history honorary degrees have been awarded. Hengelbrock is out, Thielemann is in. Bayreuth's 2012 Tannhäuser . 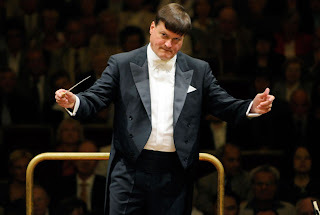 Christian Thielemann; "So what if me Mum cuts my hair?" 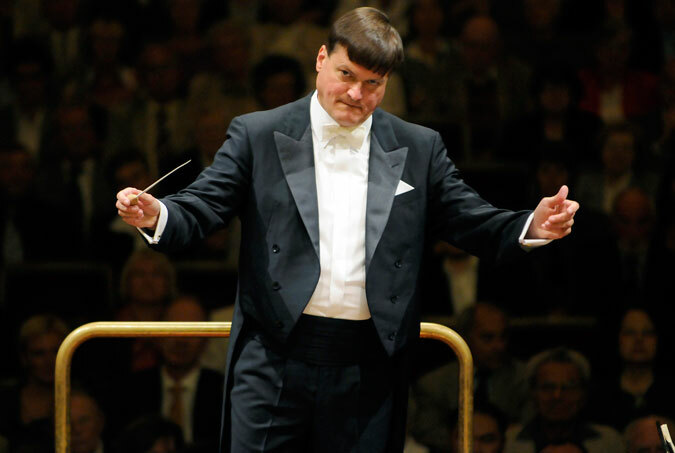 According to much of the German press, Christian Thielemann will not only be conducting Bayreuth's new Dutchman this year but will also take over from Thomas Hengelbrock to conduct Baumgarten's "innovative" staging of Tannhäuser.. Why? Details are a little sketchy at the moment, apart from the fact that Hengelbrock has failed to renew his contract with the Green Hill. Maybe he simply couldn't stand another year of Tannhäuser running around in a pair of old Boxer Shorts? And what does Bayreuth say in badly, and loosely, translated German? "With Thielemann at the podium Tannhäuser will be in the best hands musically" Now, if only they could say the same thing about the director.